The following post contains major spoilers for the new IT adaptation. With IT, Andrés Muschietti has revived a dreary box office and reinvigorated one of Stephen King's most iconic antagonists. The new Pennywise tore into theaters this weekend with googly eyes, a frenetic run, and a wicked sense of humor. Everything about him was unsettling, a testament to the work the Argentine director did with his star, Bill Skarsgård. You might know Muschietti from Mama, another hit that capitalized on children and jolts of terror. Fans won't be surprised to know that his IT adaptation plays like the popular '90s miniseries plugged into an amplifier, a powerful coming-of-age story that leaves room for more. Ahead of the movie's release, we called Muschietti to discuss that cryptic ending, potential sequel plans, and Easter eggs hidden throughout the film. Thrillist: Your take on IT is drawing comparisons to Stand by Me because of the humor sprinkled throughout. What kind of balance did you want to achieve with the laugh lines and the scarier moments? Muschietti: For me, it was important to maintain the spirit of the original story. If you read the book, you engage with the characters through a wide range of emotions -- humor is one of those. Stephen King uses humor very well to get closer to the characters and understand their personalities and conflicts and journeys. In movie terms, the humor accelerates your emotional connection to the characters. And some of these characters are definitely funny. For instance, with Richie Tozier or Eddie Kaspbrak? You can't try to make a portrait of these characters without having some fun. On the technical side, bringing some levity to the story also magnifies the horror. For a second, you chill the tension, and then you break it with a scare. Having that balance is interesting. I found Pennywise's movements and his run extremely unnerving; he's so frenetic it's almost like he's vibrating. What did you and Bill Skarsgård do to make this version of Pennywise different? Muschietti: Yeah, the run was performed by Bill. I never wanted two of his attacks to be the same. This is something we agreed on with Bill, when we were talking and building the character. We wanted to bring that factor of unpredictability to the character, so he does a different thing every time. In the tunnels and the sewers, he did that run practically, but there are some frames dropped to enhance the impact of his lunge. The projector scare also stands out. It's a familiar moment from the trailer, but it still manages to surprise you. What made you want to blow out this scene? Muschietti: It all started from trying to find a cool translation from the photo album chapter in the book. Nothing like this happens in the book, but it's a moment where all the Losers are basically starting to put pieces together by looking in a photo album that Mike brings. So I wanted to refresh that event. I thought it would be relevant in the '80s to have a slide projector version of that. It's a scene that works very well, put in perspective with how the movie was marketed. If you see the trailer, that scene is sort of teased, but I don't think people expect the resolution of that scene. And it's great, because people go in with expectations, after having seen the trailer, but they don't expect a giant Pennywise to come off the screen. I'm afraid of scale distortions in general. That's what I really, really wanted to explore: that one of his scary incarnations is a magnified version of himself. Considering how your team has split up the source material, how do you want people to read the ending? Muschietti: It's a mystery I wanted to keep in the movie, as a way to engage people on the next journey. The destination of Pennywise is uncertain. When they first beat him up, he seems to retreat deeper into the sewers. Some of the kids think that they've defeated him, but some don't. They're not sure. That's why they go for the blood oath and promise to come back to Derry if Pennywise returns. In that sense we're doing the book justice. But the answer? It's not dead [laughs]. The movie ends with a "Chapter 1" title card, and there have long been plans for a second movie. Have you thought about how you would want to approach the sequel? 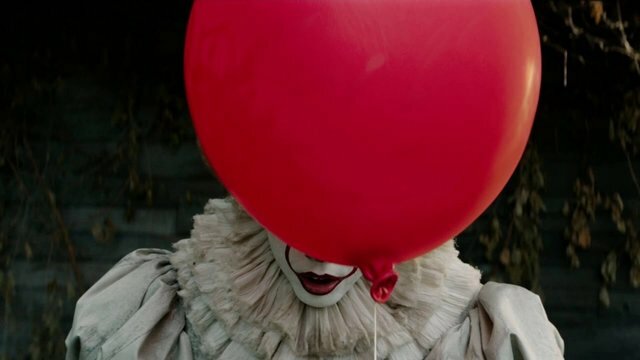 Muschietti: The second half is something that we're all excited about. We haven't gotten confirmation that it'll happen, but I want to make it because it's the second half, because I want to complete the story. The second half, structurally, would be roughly like it is in the book: 27 years later, Mike is the only one of the Losers who stayed in town. He basically summons the rest of the Losers, who are spread around America, and tells them that It is back. Are there any Easter eggs, like Bill's Silver Schwinn bike, that King fans should look for in this movie or the next one? Muschietti: Yeah, well The Turtle plays a pretty big role in the book. The Turtle is like the force of good, an antagonist to the force of evil that It is. But it's a very subtle presence, and it's approached from a very speculative perspective, because nobody knows what The Turtle is, but it comes in dreams and messages and mythology. So I didn't want to introduce The Turtle as it's described in the book, because in the book there are speculative descriptions of what the Macroverse is -- the other dimension where It comes from and where the turtle lives. But I did want to hint at the presence of the turtle in this movie, as a force of good that's basically trying to protect the kids. That's why there are meaningful moments in the movie where The Turtle is present -- mainly that scene in the quarry where the kids bond together for the first time, including Beverly. They go into the water, and one of them says, "Oh, it's a turtle!" And they go and splash underwater, and the screen goes completely green, and I think people sort of brace because they think something scary is going to happen, but then we cut to the next scene. It's a bit of an Easter egg for people who've read the book. For people who don't know the story at all, The Turtle goes completely unnoticed, I think. But I didn't want to leave The Turtle completely out, because I think it's a hint for further exploration in the second part. There's a lot going on with the kids' T-shirts too. Richie has a shirt that says Freese's, which is Derry's department store. In the book, there's a whole sequence that describes how Richie is chased by Henry Bowers and his gang, and he saves his life by hiding in the aisles of Freese's. There are a few other references, like the bicycle shop and the Tracker Brothers, that appear too. The Tracker Brothers are a company in Derry -- a trucking company but they also have a baseball diamond where all the kids get together and play. The thing with such a rich, big book is you have to pick your events because you have to make a two-hour movie, but you have the instinct of wanting to put in a little more. As long as you have T-shirts, you can do that [laughs].